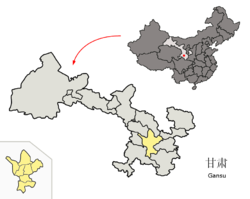 This article is about the district in Dingxi, Gansu. For the district in Tainan, Taiwan, see Anding District, Tainan. 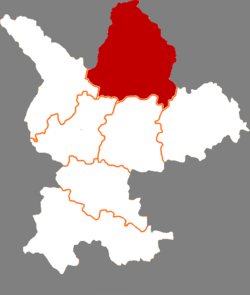 Anding (Chinese: 安定; pinyin: Āndìng) is a district of the city of Dingxi, Gansu province, the People's Republic of China. 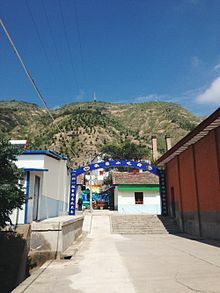 Dingxi City is known for potatoes. This page was last edited on 28 November 2018, at 00:59 (UTC).